As we go through life, there might times when we wonder where the instruction manual is; that booklet, increasingly found online, that will tell us how we’re supposed to behave and act, especially when situations come up that we don’t anticipate–that might leave us stammering and pfumpfering while we figure out our next step. There have definitely been times when I’ve wished I had a script-writer sitting on my shoulder with the appropriate answer, or the wittiest comeback… the one that would keep me from putting my foot in my mouth. The good news is that we do have such a guide; we have the Torah, which provides an initial blueprint that anyone can use–it’s not just for Jewish life and observance. But because the wording of many commandments in the Torah is vague, we have a vast collection of rabbinic literature that works to try and figure out, “what did God mean by x, y or z?” I’m certainly not suggesting that we can speak for God, nor did the ancient rabbis, but living in exile, and in the absence of the Holy Temple and sacrifices, Jews needed to find a way to keep Judaism relevant, accessible and thriving. It’s no accident that the word for sacrifice used in the Torah is korban, from the root kuf, resh, bet–karov – which means to “draw close.” Ancient Near Eastern societies drew close to their deities by offering animals, grain and other gifts on an altar, and in Temple times, these sacrifices served a practical purpose as well–they provided food for the Kohanim and Leviim. Today, we draw close to God – karov Ado-nai – through prayer and supplication, and by halakh l’darko, literally “walking in God’s path, behaving in a God-like fashion. 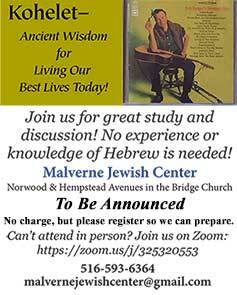 The Torah, Mishnah, Talmud, Maimonides, Yosef Karo’s Shulchan Arukh and other codes cover just about every aspect of our lives and observance, and as new things are invented and new technologies are developed, we take the time to figure out how they might be incorporated into our practice. The rabbis who lived in Babylonia or Eretz Yisrael in the first centuries of the Common Era couldn’t have imagined electricity, so they certainly wouldn’t have considered whether or not reading a book on a Kindle would be permissible on Shabbat, or if a self-driving car could take you to services, or if you could join a minyan over the internet. The answer is yes, and no, and that’s a discussion for another time. This evening begins the observance of Yom Kippur, commonly translated as “The Day of Atonement.” As we chanted Kol Nidre, we joined with millions of other Jews around the world who are observing this day; some in synagogues, restaurants or ballrooms, others riding their bicycles along the superhighways of Israel. No matter how we choose to commemorate Yom Kippur, the message has been made clear to us since we were kids; this is the day when we beat our hearts and confess our sins as a community, hoping and praying that God will accept our prayers and our sincere desire for repentance, and seal us in the Divine book for life and health, happiness and prosperity. There are many ways to pray, and the machzor, the High Holy Day prayer book, is full of prayers and readings designed to help us express ourselves, along with our own personal prayers and thoughts. Think of it as buying a printed greeting card, and then adding your own message. One of the most poignant prayers of Yom Kippur is referred to as the Sh’losh Esrei Midot, “The Thirteen Attributes” of God, taken directly from the Torah. Following the incident with the Golden Calf, when Moses shattered the tablets, God was furious, and threatened to annihilate the people. Moses pleaded on their behalf, and God relented. Then Moses requested to actually see God, harayni na et k’vodekha, “please let me see your glory!” to which God replied, “No one can see My face and live.” However, Moses was instructed to stand in the cleft of a rock, and God’s “back” would pass before him. From here we get the idea that God wore tefillin – which is also a discussion for another time–and the Talmud teaches, in tractate Rosh Hashanah, that the Holy Blessed One wrapped a tallit around God’s self, like a prayer leader wraps him or herself, and gave Moses a formula for requesting forgiveness. God said to him: “Whenever the Jewish people sin, let them act before Me in accordance with this order. Let the prayer leader wrap himself in a prayer shawl and publicly recite the 13 attributes of mercy, and I will forgive them. There’s something’s missing, isn’t there? When the liturgy was being created and codified, the rabbis left out the part about grandchildren and great-grandchildren suffering for the sins of their ancestors–for obvious reasons–as well as the verse after v’nakeh, “cleanses,” changing the meaning to indicate that God does forgive all sins, which I certainly hope is the case! As we pray together this evening and tomorrow, may we find comfort in the knowledge that when our own words might fail us, we have these words, God’s self-description–the formula we were told to use–to remind God that each of us merits being sealed in the book of life for all good things in the coming year and beyond.